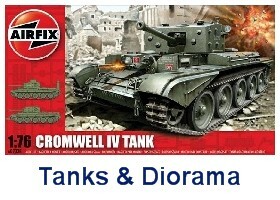 Good morning, and welcome to the Topslots 'n' Trains Airfix Model Kit Shop. 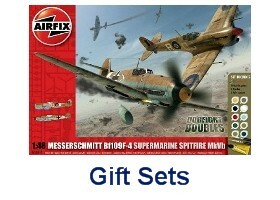 Our Online UK Airfix Plastic Model Kit Shop range has the best choice of Airfix scale Model kits, including Airfix Gift Sets & Airfix Starter Gift Sets & accessories. 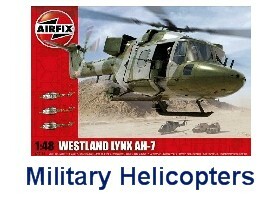 Airfix make a wide variety of plastic & resin model kits including Military Aircraft, Ships & Submarines Modern and Classic, military Tanks Vehicles & Dioramas along with Military & Historic Figures and many more to choose from. 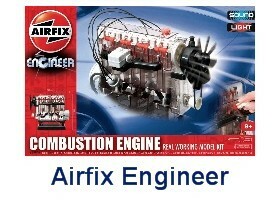 Airfix Plastic Model Kits are collectable & fun to build. 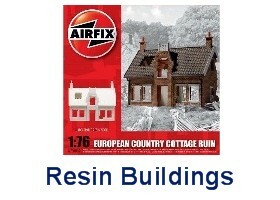 Plastic kit building makes a fantastic hobby for children & adults and are also available to buy in a range of scales to suit many skill levels from age 8 and above. 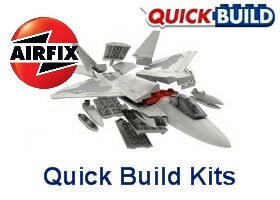 Also in the Airfix range are the New Quick Build Push-Fit models. 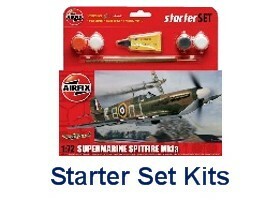 Skill level 1 is ideal if you are new to plastic kit modelling & Level 4 if you are a more experienced & advanced kit modeller. 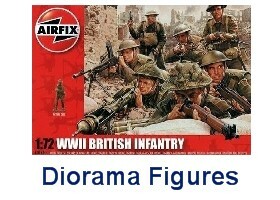 Airfix is the UK's number 1 most long standing original brand of scale model plastic kits & have been producing quality kits on a large scale for modellers since 1952. 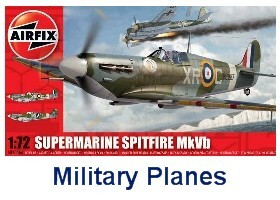 If you are a boy or girl, an Airfix beginner or an experienced kit modeller you will find the our UK Airfix Model Kits Shop has got something to buy that suits your need. 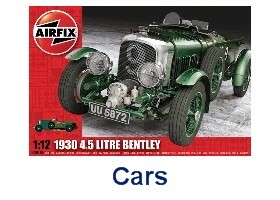 Our fantastic prices, coupled with low cost premium insured UK delivery & in stock availability, are too good to miss, European and the rest of the world customers also receive low cost insured delivery. 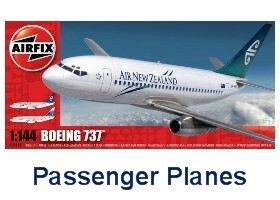 Non EU customers such as USA, Australia, America, Japan, China, etc receive VAT free sales too ! now 20% ! 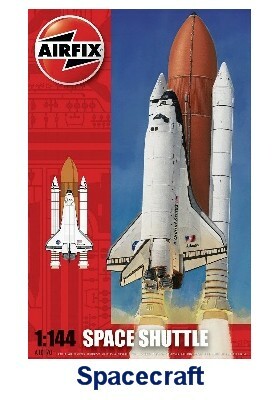 deducted from basket value on Our already discounted prices ! automatically calculated on secure check out for you to enjoy. 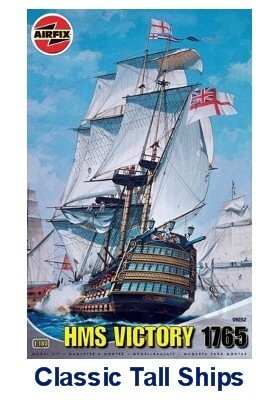 World Wide delivery dispatched from our model shop in Fleetwood near Blackpool, Lancashire. 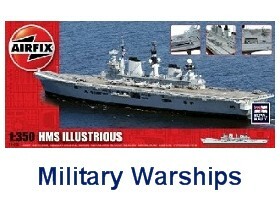 Airfix Model Kits at their Best from the UK.